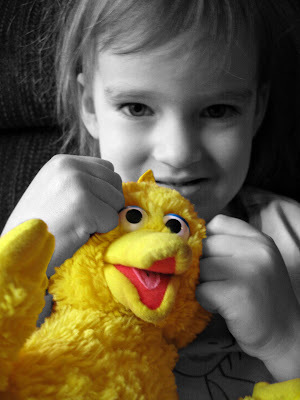 Sophia's #1 sleepy time buddy is this Big Bird! I thought I'd do color selection on this photo to bring out the bright yellow of the toy. I truly can't get enough of color selection in pictures! Enjoy! * If you haven't already, check out other "Yellow Week" photos on Flickr.